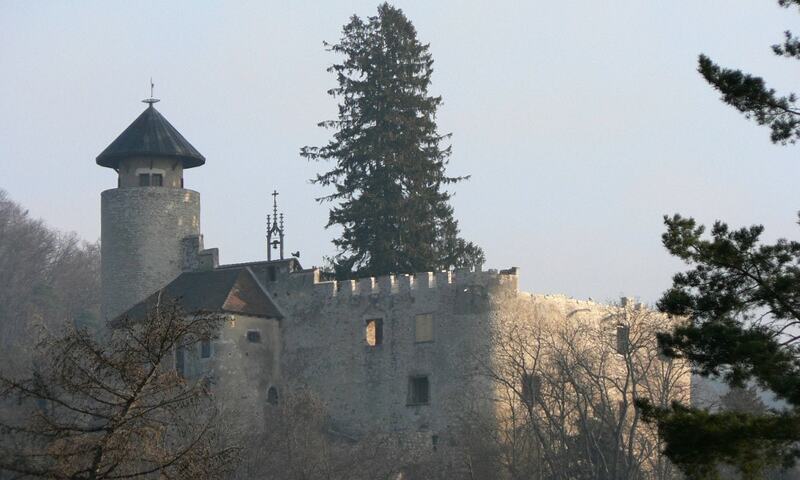 Birseck Castle is one of four castles on a slope called Birseck that confines the plain of the Birs river. The Eremitage building group that includes the castle is listed as a heritage site of national significance. Reichenstein Castle is the sister castle to Birseck and sits on a higher slope to the north. The castle was destroyed in the revolutionary turmoil, and the ruin was integrated into the garden after 1812. In 1812 a Knights' Hall with neo-gothic wall decorations was built into the ruins. The wall paintings were restored in 2007 directly from the original artworks and Birseck Castle was renovated.